Twilight Turtle is another baby/toddler toy i came across the other day. 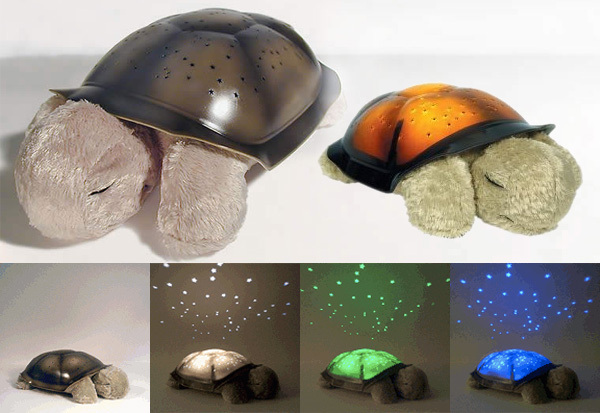 Made by Sleep Sheep and Friends or Cloud B ~ this turtle is cuddly under its shell, lights up in various colors, and projects the night sky on to the ceiling (or your tent, fort, etc). 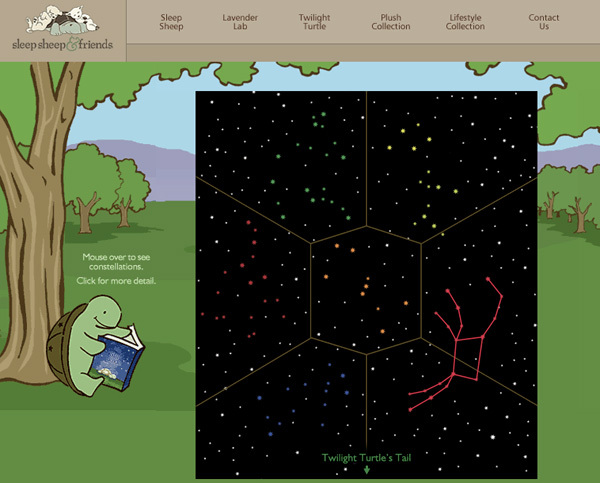 “Choose from three soothing color options – blue, green, and white – to create magical, tranquil environments that are ideal for helping children of all ages ease into a restful sleep.” And it projects 8 constellations for kids to learn. 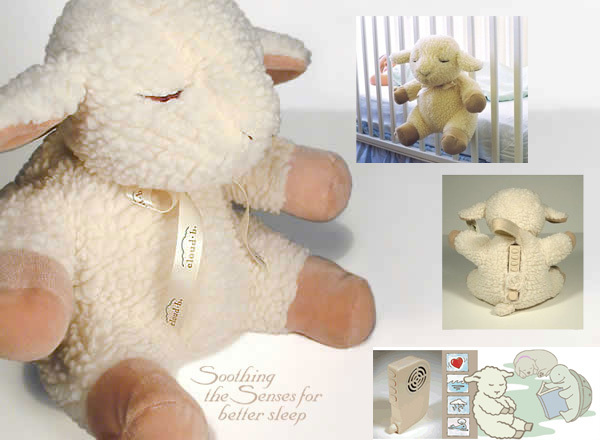 Also interesting is their Sheep Sleep, which plays 4 sounds that comfort babies ~ Mother’s Heartbeat, Spring Showers, Ocean Surf, and Whale Songs. You can actually control the volume and it auto times out after 23 minutes. This one even now has a stroller/to-go version. More images of all below! Honestly, with both of these being priced in the 25-40$ range, they’ve totally made my list for new parent gifts!